We were delighted to host the UK-SBA ABA in Schools SIG last Thursday in our new Training Suite here at Jigsaw. A series of productive meetings took place where we shared ideas and experiences with the other ABA schools. 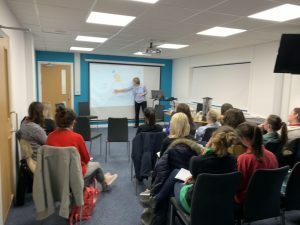 Our Director of Education, Dr. Emma Hawkins, also hosted the end of day professional development CEU event focussing on Emergent Verbal Behaviour…it’s always good to share our research with others.